The rattlesnake, a reptile found only in the Americas, was the first animal used to symbolize the colonies prior to the creation of the USA. I like Ben Franklin. And if his plan would have rid the country of snakes, I’m sad it was never implemented. 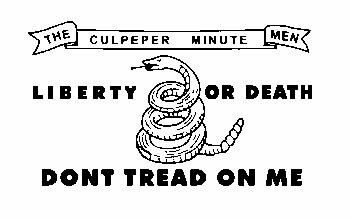 Known for their fierce response when disturbed, the rattlesnake became a prominent feature on early battle flags in the Revolutionary War. Rattlesnakes were native throughout the original 13 colonies. Continental Colonel Christopher Gadsden presented what has become known as the Gadsden flag to Commodore Esek Hopkins to serve as the personal standard of his flagship. For a time, it was thought that the First Navy Jack was used in the Revolutionary War by the Navy, but those accounts were apparently in error. A striped jack was used in the war, but there’s no evidence that it had a snake on it. That tradition took hold, however, and the symbol is now used in today’s US Navy. 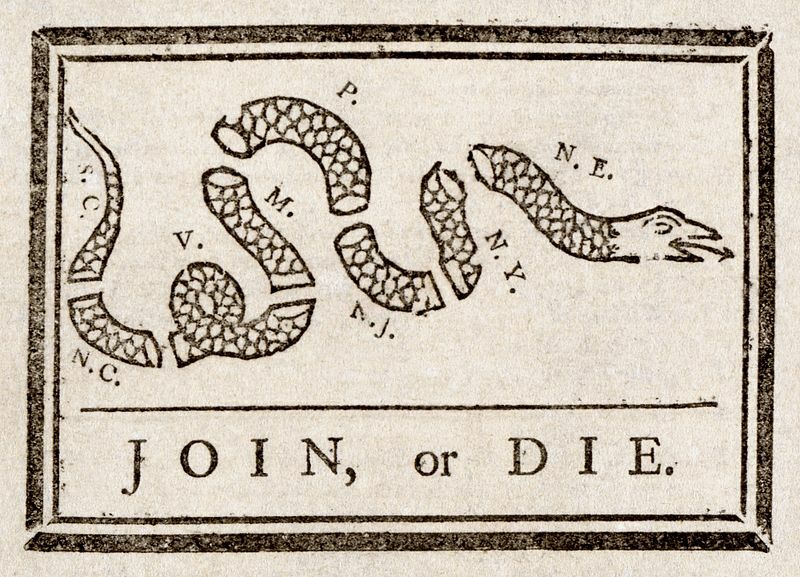 Said to be the first political cartoon, Benjamin Franklin’s “Join or Die” illustration was first published in the Pennsylvania Gazette, May 9, 1754. It indicated N.E. for New England at the head, and then identified the colonies in order going south down the coast. 200 men from the Virginia colony fought under this flag in 1775. Various versions of the Gadsden Flag had an apostrophe (or not), a grass field for the snake to spring from (or not), and the snake facing left or right. 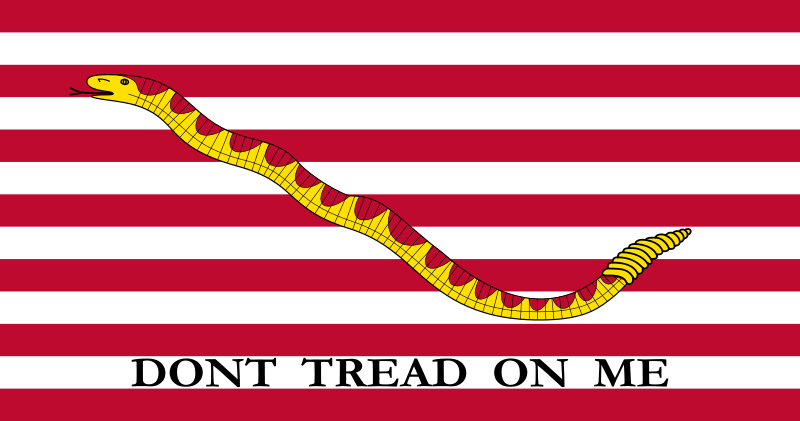 The First Navy Jack is now flown on the oldest navy ship in service: currently the aircraft carrier USS Enterprise. Today, sailors fighting in the war on terror wear First Navy Jack patches on their camouflage uniforms. Other U.S. military personnel, particularly special operations personnel, have worn First Navy Jack embroidered patches as well. Posted February 13, 2013 by henrymowry in U. S. A.